A short-lived slideshow of candid images and videos sure sounds familiar. Facebook has been after Snapchat and its huge userbase of teens for years, but nothing can slow the growth of the super-popular ephemeral messaging app. As the old adage goes, if you can’t beat ’em or buy ’em, take their best features and put them in your own product. 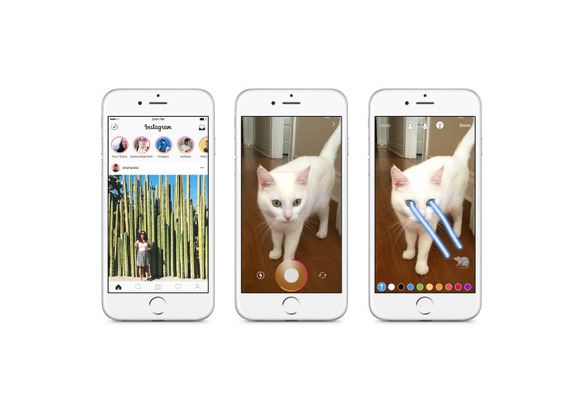 This time, Facebook is blatantly copying Snapchat Stories and adding an identical feature to Instagram that starts rolling out to iOS and Android on August 2. It’s called Instagram Stories. Yep. Like Snapchat Stories, Instagram Stories allows you to shoot and share photos and videos in a story that vanishes after 24 hours. You can up your creativity game by adding text, drawings, or emojis. The new feature is in a separate tab from your main feed, which you can continue to share images to as normal. Instagram will put updated stories from people you follow in a bar at the top of your feed so you won’t miss a new post. Perhaps Stories is the solution to Instagram’s unpopular algorithmic feed, which decides on your behalf which images to surface in your main feed. Your Instagram story will abide by the same privacy settings you’ve chosen for your Instagram account. Public accounts will have public stories, and stories from private accounts will be visible to just your followers. You can see who has viewed your story, just like on Snapchat, but you can hide your story from specific followers, which is one unique feature Instagram has over its rival. Instagram cofounder Kevin Systrom told the New York Times that the ephemeral story is another format, similar to the news feed, that allows users to share content in a different way. And he’s not wrong. Snapchat has a difficult barrier to entry for many people, because it’s completely unintuitive to use and has layers of features that aren’t easy to figure out. Instagram users who like the idea of a story format but don’t want to spend hours figuring out Snapchat’s complex user interface won’t have to. But Snapchat’s user engagement numbers are astoundingly high, with more than 150 million daily active users, the Times reported. That’s because stories are updated throughout the day, and if you miss a post, it’ll be gone within 24 hours. Instagram has more than 500 million active users, with 300 million checking the app daily. Snapchat HQ is likely buzzing from this latest Facebook threat, but the messaging app still has a few features Facebook and Instagram haven’t replicated. 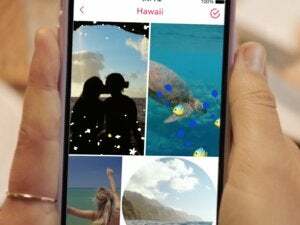 The constantly rotating menu of selfie lenses and location-based filters are still hugely popular and just as fun to use as they day they launched. I like Snapchat Stories, and I’ll probably use Instagram Stories, too. The new feature offers more freedom to share images or videos that aren’t as perfectly filtered or curated as the standard Instagram post usually is. But, come on Facebook: A little originality would be nice.